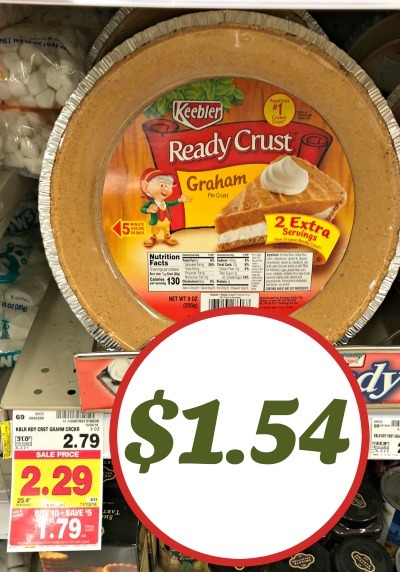 You can get Keebler Ready Crusts for only $1.54 each after coupon and mega savings at Kroger. Perfect time for all those tasty holiday pies! $1.54 after coupon and mega savings.